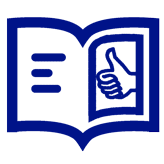 According to Baltika, over the first quarter of 2016, the company has enjoyed the leadership. In the sliding market the volume share of Baltika increased by 1.7% in the first quarter of 2016 against the fourth quarter of 2015 and amounted to 35.1%*. 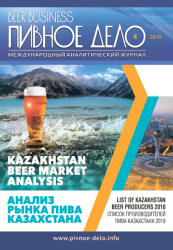 Under Carlsberg ‘s assessments, in general the volumes of beer markets in Eastern Europe region have been shrinking at medium rates, yet they have managed to regain the volume growth of primary purchases in Russia, Kazakhstan, and Ukraine. 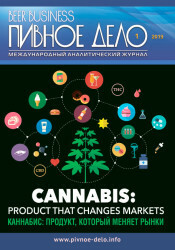 The growth in Russia was based on stockpiles decrease at distributors’ warehouses, which resulted from market decline and switching of sales channels from the traditional to modern trading. Positive dynamics by the end of three months of 2016 was demonstrated by brands Zhigulevskoe and Carlsberg. The specialties of the previous year Neon Beer and and low alcohol Seth&Riley’s Garage have also performed well. In the first quarter, Baltika went on focusing on the key brands and on sport developing in order to form the culture of rooting for a team. Baltika is an old partner of KHL championship. Region Far Abroad countries proved to be the main growth driver for export sales in the first quarter of 2016, as export to China grew 2.5 times, the business in Australia and Ivory Coast was relaunched, besides, the growth in European countries is continuing due to product range expansion and promotion on TV. The riot growth by more than five times can be observed in countries of Middle East as well as North and Central America. 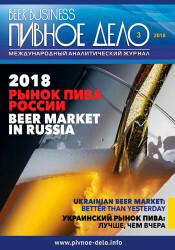 Besides, alcohol free portfolio is still developing in Muslim countries, thus, energetic drink Flash Up has reinforced its positions in Kirgizia and Uzbekistan, and the supplies geography of alcohol-free soda drinks Baltika 0 in three different flavors is getting wider in Middle East and Africa. The net revenue of Carlsberg Group in region Eastern Europe in the first quarter of 2016 demonstrated an organic growth by 20% thanks to its strong price mix and the organic growth of the total volumes. The net profit went 2% down because of the currency rate impact. Source: data of retail audit by Nielsen Russia in natural terms concerning markets Urban and Rural Russia.